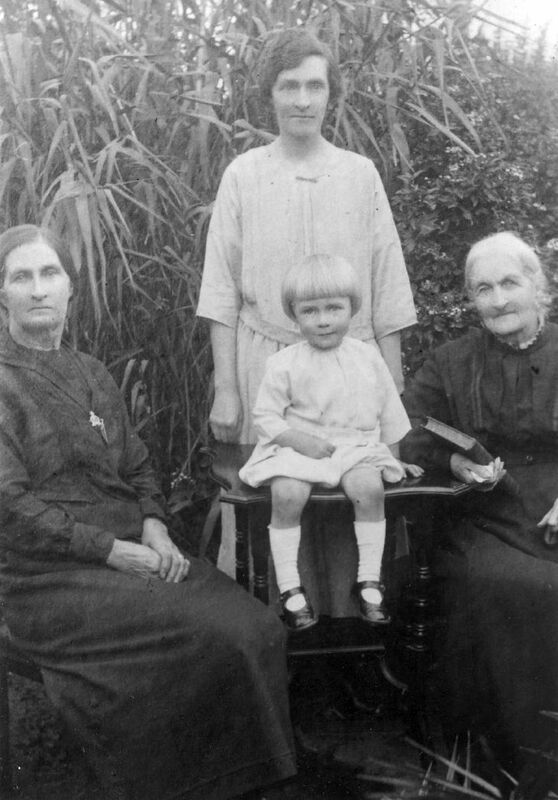 Black & white copy of photograph of four generations of the family. Seated R: Margaret Gunn (nee White), L: Margaret Walker (nee Gunn). Standing: Marjorie McIntyre (nee Walker), with her daughter Leslie McIntyre.